During the ultra-communist Khmer Rouge regime (1975-79) in Cambodia, the private ownership of land was abolished and it remained unrecognized also during the following 10-year long Vietnamese-backed Communist government (1979-89). All land-related documents, including the land register, maps and geodetic networks were systematically destroyed as well as most professionals and educated people eliminated during the tragic 1975-79 period. The ‘Year Zero’ (1979) was cold reality in Cambodia, both on paper and in practice in the land sector as well as in each and every other sector of the society. Only from 1989 onwards, the private ownership of land was re-introduced in Cambodia after decades of turmoil, anarchy, confusion and collective ownership (Anttonen, 2006). After the end of Vietnamese occupation and re-introduction of private land ownership in 1989, in the early- and mid-1990’s the Royal Government of Cambodia (RCG) made an effort for a large campaign of registering privately possessed land parcels, but soon turned out to be technically, financially and practically unable to process effectively and efficiently the 4.5 million registration applications filed in the Cadastral Offices countrywide through the then existing sporadic land registration system. The sporadic land registration procedure and the whole land registration system turned out to be too complex, lengthy, over-centralized, over-bureaucratic and expensive, especially for the majority of Cambodians who are poor. In addition, the manual paper-based system was technically inaccurate, if not all, as most parcels lacked geo-reference and coordinates, i.e., proper cadastral surveys and maps, which had a potential to lead to overlapping land claims, overlapping parcel boundaries and consequently land disputes. Insecure land tenure surely was not to contribute to the social stability and economic development of, then still fragile, post-conflict country. During the first 10 years of private land possession and ownership, only around 550,000 land parcels were registered by the Land Titles Department (until 1998) and the following newly established General Department of Cadastre and Geography (GDCG) of the Ministry of Land Management, Urban Planning and Construction (MLMUPC, from 1998 onwards). It was generally concluded that without more effective and efficient system for land registration, the Cambodian Cadastre was to remain far from complete for ages (Anttonen, 2006). In mid-1990’s, the Royal Government of Cambodia (RCG) requested the Governments of Germany (1995) and Finland (1997) to support the development of the Cambodian Land Administration system, focusing first as the priority on a suitable and affordable systematic land registration system that could be applied countrywide for an effective and efficient covering systematic land registration program. The requests from Cambodia were accepted by both European donor countries, which till date still remain as the key Development Partners (DP) for the development and implementation of the Land Administration system of the country. Being still some 30 years behind many other countries in the region in all development due to its unfortunate tragic recent history, Cambodia cannot afford to have an inefficient, ineffective, inaccurate and costly old-fashioned and outdated cadastral system. A need for a successful modern Cadastre, as defined by FIG (1995), in Cambodia was obvious, and the long-term patient work for it started virtually from scratch (Anttonen, 2006). In Cambodia, the Government of Finland through technical assistance (TA) by FMInternational Oy FINNMAP has supported the policy, legal and technical development and implementation of systematic, sporadic and subsequent land registration, modern digital multi-purpose cadastre and the whole Cambodian Land Administration system continuously since 1997, coordinated in close co-operation with the 1995-started Land Management Project (LMP) financed by the Government of Germany through GTZ. The history of the coordinated Finnish and German TA support includes briefly so far the following phases with their main focuses and results (In this paper, the Finnish support is highlighted more than the also very important German and later also Canadian support, but only due to the author’s history and institutional memory as the Team Leader of TA Finland). The very first two years of the Finnish support (CMLRPP 1997-99) to the Cambodian Land Administration focused on resource reviews in the fields of land policies, land registration and land legislation as well as the system development. Special attention was paid to the development of locally applicable cadastral surveying and mapping, digital Cadastre and systematic land registration as well as training of the Cambodian Cadastral Administration staff. The system development resulted in the establishment of a local cadastral GIS based on simple software and then already locally available technology, method for the systematic parcel-by-parcel land registration supported by digital orthophotos and field surveys and the drafting of its legal provisions for a Sub Decree. FINNMAP delivered the TA support for all above fields of legal and technical expertise. The initial number of the local Cambodian counterpart staff in this very first pilot project was only six (6) (CCP, 2002A). The overall objective of the second phase of the Finnish support, known as Cambodia Cadastral Project (CCP 2000-2002), was to facilitate and accelerate the introduction of security of tenure on land creating a cornerstone for the rehabilitation of the fragile society of Cambodia. The purpose of the project was to introduce a fair and just land registration system benefiting the poor majority of Cambodians. CCP facilitated the land policy and land legislation development, including the final drafting and official adoption of the Sub Decree on systematic registration, finalized the first stage of the development of systematic land registration system, planned and demonstrated its countrywide application by establishing two provincial ‘Sub Offices’(Takeo and Sihanoukville). for the implementation, training their local staff and launching the systematic registration work as well as helped improve the technical performance of the sporadic land registration and human resources and technical capacities of the Cambodian Cadastral Administration in general. Also other important topics such as land valuation, cost recovery and outsourcing, socio-economic aspects and public awareness promotion were focused on during this project phase. Apart from starting the concrete systematic registration work, the project facilitated the start of a larger systematic registration campaign by carrying out new aerial photography in selected areas likely to face systematic registration in the near future. Simultaneously, the German-supported LMP financed the implementation of systematic registration in two other provinces (Kampot and Kompong Thom), so the total number of pre- LMAP provinces was four. In general, the concrete policy and legal development in the Cambodian land sector was rapid during this project phase and clearly showed that the country was committed to putting the land issues in order after three decades of turmoil, confusion and anarchy. The drafted Sub Decree on Establishing Cadastral Index Map and Land Register (Systematic Land Registration) was adopted in March 2000 by the Council of Ministers (CoM). The three key areas of the Cambodian Land Policy (Land Administration, Management and Distribution) were identified in July 2000 and The Council for Land Policy (CLP) was established in December the same year. The Statement of Royal Government on Land Policy was passed in May 2001. The enactment of the long-prepared new Land Law took place finally in August 2001 and the necessary Sub Decrees on Systematic and Sporadic Land Registration and Cadastral Commission (Land Dispute Resolution) to effectively implement the Land Law were drafted and passed in May 2002. In 2002, also the Strategy of Land Policy Framework was finalized. In this project phase, FINNMAP delivered TA for all the main sectors of the Land Administration work involved; land policy and legal development, aerial photography and orthophoto production, geodesy and land surveying, IT and GIS, media, land valuation, cost recovery, outsourcing and socio-economic studies. Also, the technical quality of sporadic surveys was improved by a countrywide Province Office Training (POT) program, including delivery of new surveying equipment to the provinces countrywide. In the end of this project phase, 83,500 parcels were in the systematic registration process in the four Finnish- and German-supported provinces. The number of the local Cambodian counterpart staff with the Finnish TA had now increased to around 60, including the central level (GDCG) and the two established provincial ‘Sub Offices’. As noted above, it is highlighted that the Finnish-supported work was closely coordinated with the parallel German-supported Land Management Project (LMP) supported by GTZ from 1995, which apart from supporting systematic land registration focused also on land management issues. The Finnish- and German-supported projects together had a total of around 100 local staff implementing systematic land registration in four provinces. The successful CCP and LMP project implementation, among others, and the development in the fields of land policy and land legislation encouraged the Royal Government of Cambodia (RCG) to apply a development credit from the World Bank (WB) and start the preparations for a big Land Management and Administration Project (LMAP). By June 2002, the Governments of Cambodia, Finland and Germany with WB had prepared together a comprehensive, originally five-year multi-donor LMAP, which continued the started development work and expanded the implementation of systematic land registration activities from the four pilot provinces to 11 provinces/municipalities (Phnom Penh, Kandal, Takeo, Kampot, Sihanoukville, Kompong Speu, Battambang, Siem Reap, Kompong Thom, Kompong Cham, Prey Veng.) out of the total of 24, covering a big part of the most populated and fertile areas as well as the most important land market areas of Cambodia (CCP, 2002B). c) Establishment of an efficient and transparent Land Administration system (LMAP, 2001). Component 5 – Land management (LMAP, 2001). Component 3 was the core of LMAP, under which most of the concrete activities were carried out and tangible results achieved. The major investments and operating costs of systematic land registration were financed by the World Bank (IDA credit) and technical assistance (TA) to the project was provided by the Government of Finland (through FM-International Oy FINNMAP, Component 3) and the Government of Germany (through GTZ, Components 1, 2, 4 and 5). It has been recognized that although the project was divided into five Components and responsibilities of several development partners and TA teams, LMAP was the only project implemented by MLMUPC through its existing Central and Provincial Departments without establishing parallel separate project structures (The Central Project Management Office (CPMO) was the only project-based structure to support LMAP.TS09L – Land Administration and Sustainable Development) and all interlinked Components both supported and were depending on each other for the project to be successful as a whole. Especially Component 3, which performed the main role of LMAP, which depended also on the successful functioning of the other four Components (Anttonen, 2006). D. Development of a modern land registration system. The two key performance indicators of Component 3 were ‘Land titles are issued effectively and efficiently’ and the ‘Land registration system is functioning well’. Among the various output indicators, there were expectations that one million land parcels would be systematically registered in the original five-year project period and that the average cost of a land title would be less than US$ 30 (LMAP, 2001). The Subcomponent D, ‘Development of a modern land registration system’ was supporting the ‘development of a sustainable, efficient, transparent and effective land registration system that would ensure the security of titles and transactions, full participation in registration of land transactions, and efficient service delivery’. That included Review of land registration system and operational procedures; Improved office facilities, equipment furniture and materials; and Establishment of land registration database (LMAP, 2001). This Subcomponent especially involved a great deal of both legal and technical development work supported by TA Finland. In addition, in 2006 MLMUPC strongly emphasized the importance of land registration for the development of Cambodia and publicly announced land registration to be the most important sector of the Ministry’s work at the moment and in the future. The official targets in registration were declared by MLMUPC to be 32% of all parcels by 2010 and up to 65% by 2015 (MLMUPC, 2006). It is clear that this kind of goals can be achieved only by a successful and modern, effective and efficient cadastral system in place. As a brief summary, the main measurable indicators, targets and goals of LMAP were achieved and exceeded by the end of the project in 2009. More than one million land parcels were systematically adjudicated and surveyed (result: 1,689,639) and more than 800,000 land titles issued (result: 1,296,735) effectively and efficiently at a record low cost of less than US$ 10 per parcel. For the systematic registration campaign, around 1,000 Cambodian cadastral officers were trained, equipped and supervised by GDCG and TA Finland’s Advisors in 14 provinces and municipalities to implement systematic land registration at the speed of 25,000-30,000 parcels per month, according to the developed and continuously improved comprehensive Land Registration Team (LRT) Manual. In addition, more than 8,000 Administrative Commission (AC) members were trained for legal local-level decision-making in land registration. Around 5,000 geodetic ground control points for cadastral surveying and orthophoto production were established. Around 60,000 sqkm of digital orthophotos were locally produced with the established modern digital orthophoto production line and also more than 190,000 sqkm of produced and procured orthophotos were quality controlled under the project. To support the systematic land registration, a successful Public Awareness and Community Participation (PACP) and information dissemination concept was developed and established, resulting in the high landowners’ participation rate of more than 99% in the systematic registration. A modern digital Cadastral Database and Geodatabase system was developed locally and established to support effective and efficient systematic, sporadic and subsequent land registration and continues to be developed further according to the official legal and technical requirements. The necessary land-related policies and regulatory framework were developed and established to officialize and legalize the development, establishment and implementation of the land titling program, modern land registration system and improving the whole Cambodian land administration system. Institutional development resulted in the establishment of the new Faculty of Land Management and Administration (FLMA) at the Royal University of Agriculture (RUA) for increasing human resources for the whole land sector. By the end of LMAP, 150 new generation B.Sc’s had graduated from the faculty and 199 were studying. MLMUPC recruited 74 of them to the Ministry, mainly to join the Land Registration Teams (LRTs). Lessons learnt, team building and training workshops, on-the-job and hands-on training, international study tours and continuous supervision and monitoring played an important role in the capacity building of the local cadastral staff. Mechanisms for land dispute resolution were strengthened by supporting the Cadastral Commissions (CC) in out-of-court dispute resolution. During LMAP, around 3,500 CC members were trained and 3,730 land disputes solved by them (LMAP, 2011). The lessons learnt from the LMAP design and implementation are discussed briefly below. It can be concluded in general, that the design process of LMAP was well-coordinated in good co-operation between RGC, MLMUPC, WB and the Governments of Finland and Germany. Even years before the Paris Declaration on Aid Effectiveness (Paris, 2005), all development partners coordinated and agreed among themselves their planned inputs in order to avoid any overlapping and fill gaps in their support to the project (LMAP, 2011). While WB provided mainly the financing for major investments and operating costs of land registration, Governments of Finland and Germany (and later also Canada) provided technical assistance (TA) to the development and implementation of the various Components according to the agreed division of labor in the Project Appraisal Document (PAD) (LMAP, 2001). LMAP built strongly on the legal and technical development, piloting, implementation and experiences of the two parallel and coordinated pre-LMAP land registration pilot projects supported by Finland (1997-2002) and Germany (1995-2002), expanding the coverage of systematic land registration and extending the scope of the work, so LMAP definitely did not start from the very scratch. This was a great advantage for continuing the improvement of the Cambodian land administration system under LMAP (CCP, 2002A, CCP, 2002AB). The final design of the five-Component project can also be concluded to be mostly appropriate and successful. Development and establishment of land policy and regulatory framework (Component 1) and institutional development (Component 2) were essential for the implementation of land titling program and development of a modern land registration system (Component 3). Strengthening mechanisms for land dispute resolution (Component 4) was important for increasing the social stability and solving the remaining disputes after the systematic land registration process and disputes outside systematic adjudication areas. Land management (Component 5) was needed to support land registration/titling for clarifying the existing main land use and tentative land classification in the systematic adjudication areas. During the Mid-Term Review (MTR) mission, no major changes were seen necessary to the LMAP design neither by the Development Partners nor the Cambodian Government (LMAP, 2005, LMAP, 2011). However, while the achievement of PAD’s quantitative indicators (land titling numbers and costs) were clear and easy to measure and monitor, some established indicators turned out to be much too abstract, unrealistic and impossible to measure. Some even fell outside the scope of land administration (agriculture) and in many cases, totally lacked the baseline data to compare with (investments, land disputes, land grabbing). In the future land administration projects, more attention shall be put on more realistic and measurable indicators to be adopted, followed and monitored (LMAP, 2011). While the LMAP design covered most of the above key areas of the Land Administration Sub Sector, one important Component was left out by the project designers for one reason or another: Land valuation. By the end of LMAP, it had become clear that the lack of official land valuation system in Cambodia hinders official registration of land transactions and most landowners still prefer informal transactions in the absence of clear, fair, justified and transparent basis for transfer taxation and cadastral fees. For the technical and financial sustainability of the land registration system, development and establishment of an official land valuation system is now an urgent task. Finally from 2008 onwards, the Government of Canada started to support MLMUPC in this important work (LASSP, 2008, LASSP, 2010). Concrete and sustainable results in development co-operation through donor financing and technical assistance (TA) can be achieved with the recipient Government’s leadership and full commitment, proper coordination and close co-operation with all donors and other stakeholders involved and by developing systems step-by-step based on real local conditions and circumstances, requirements, needs and capacities. The implementation of LMAP through the existing MLMUPC Departments without creating parallel project structures (The Central Project Management Office (CPMO) was the only project-based structure to support LMAP.) strengthened the Ministry, its human resources, technical capacities and implementation of the land administration activities (Anttonen, 2010, LMAP, 2011). In the multi-donor LMAP, the established unified system for work planning, reporting and supervision was an effective and successful concept in general. One LMAP Annual Work Plan (AWP) combined all Components’ activities and Development Partners’ (DPs) and MLMUPC’s planned inputs. Quarterly and annually, one LMAP report combined all Components’ results, achievements and financial information. Semi-annually one common multi-donor supervision mission monitored and supervised the project, resulting in one common Aide Memoire and agreed Action Plan. If all Development Partners (DPs) had their own separate planning, reporting and supervision systems, it would have created an impossible situation to MLMUPC where much of the local counterparts’ capacity, time and effort would have been wasted for unnecessary and uncoordinated bureaucracy, instead of effective project implementation (LMAP, 2011). However, one major issue remained through LMAP, that project supervision could have been more effective, especially from the major financer, WB side. During LMAP, there were three different WB Task Team Leaders with quite different views on the project and its implementation. In addition, the WB consultants hired for the supervision usually changed from supervision mission to supervision mission. So there were seldom experts who had longer experience and wider understanding of the project, its issues and who could have had more fruitful inputs to help improve the project performance. In addition, WB carried out also other missions to LMAP, like the Enhanced Review Mission (ERM) shortly after one official supervision mission, which was experienced more or less confusing at least from the project implementors’ point of view (LMAP, 2011). Certain flexibility in the TA project budgets is required to meet the real needs, new challenges and rapid changes in the dynamic project implementation environment in Cambodia, especially in a project where the main financing is being done or supposed to be done through the complex, rigid and lengthy procurement procedures of WB. During the sudden unilateral suspension by WB without prior notice neither to LMAP nor the other Development Partners (DP), it was extremely important that other DPs were able to fill the most urgent and necessary financing gaps for the continuation of the important project work. Due to the WB decisions, indecisions and its procurement procedures, e.g., new aerial photography and orthophoto production seasons were lost many times, which increased the amount of fieldwork and consequently the duration and costs of land registration. Also, the established Independent Procurement Agent (IPA) turned out to be mostly incapable of supporting LMAP in major procurement tasks (LMAP, 2011). For example, even though it was clearly agreed and reported during an LMAP supervision mission to replace the old malfunctioning computers and survey equipment as a top priority for the technical sustainability and performance of the project, no objection from WB and consequently no procurement took place during the last year of the project (WB, 2009). An important lesson learnt is that committed long-term locally based technical assistance (TA) is essential for effective and sustainable transfer of knowledge from the technical advisors to the local counterparts (Anttonen, 2010, LMAP, 2011). With a TA concept of only short-term advisor missions, it is very difficult if not impossible, to achieve concrete and sustainable results. It can be concluded that at the LMAP project design, in Component 3 – Land Titling Program and Development of a Modern Land Registration System, TA for e.g., IT/GIS and modern surveying technology was clearly underestimated, but fortunately the needed additional advisor inputs could be arranged within the TA Finland budget. This also included the legal advisory in Component 3 scope, which turned out to be an essential and successful concept for ensuring the drafting of all necessary legal framework for the development and establishment of the land registration and whole land administration system. The information dissemination and mobilisation of the landowners as well as training of the local legal decision-makers on land registration (Administrative Commissions) was highly successful internally for supporting the systematic land registration in LMAP. This resulted in a high landowners’ participation rate of more than 99%. However, much more attention should have been paid to the project’s external public awareness and public relations (PR) especially to the public, local mass media and NGOs, in order to avoid harmful misunderstandings about LMAP’s scope and mandate (LMAP, 2011). The established performance-based and team-based payment system with separate quality control (QC) mechanism turned out to be encouraging for the Land Registration Teams (LRTs) for achieving the quantitative registration targets of one million parcels of the project. Decentralization and de-concentration of the legal mandate and responsibilities in land registration from the central to the provincial level made the land registration process much more effective, efficient and faster than before LMAP. Utilizing modern digital orthophoto, surveying and information technology (IT) from the very beginning in land registration supports cost-effective and accurate land registration, reduces human errors and eliminates the need for lengthy, complex and expensive digitalization campaigns in the future as well as supports quality control of the legal and technical land information (LMAP, 2011). The establishment of a modern digital orthophoto production line at MLMUPC enabled the smooth local production of orthophotos for land registration and land management from the existing aerial photography according to the needs. Orthophoto interpretation has turned out to be a simple, easy and cheap method for parcel boundary identification and demarcation in rural areas. Procurement of new aerial photography for up-to-date orthophoto maps, however, succeeded only once in LMAP, while the short annual photography season (December-February) was lost many times due to the WB’s complex and slow procurement process or the suspension, even though all bidding documents were always prepared on time by the project (LMAP, 2011). Fortunately, Cambodia has a reasonably good reserve of aerial photography around the country, which could be used for orthophoto production in areas where new photography failed. Orthophotos are important also for the public display of adjudication records, where the landowners have to be able to identify their parcels for checking their data. Accuracy is money. The established cadastral survey accuracy standards for land registration in LMAP were concluded to be appropriate and reflected the land values in rural and urban areas. In rural areas, orthophoto interpretation in the field and digitizing boundaries from digital orthophotos in the office, supported by tape measurements and also total station surveys where orthophoto could not be used due to tree coverage or outdated orthophotos, meets well the accuracy requirements of first registration. In urban areas, where land values are high, total station surveys have to be carried out for the better accuracy requirements (LMAP, 2011). According to the contemporary international standards, a modern land registration system is based on digital technology (FIG, 1995, FIG, 1998, Holstein, 1996). However, in a developing country like Cambodia it is essential that the system development has been based on local needs, official requirements and capacities, and can be developed and maintained locally according to the new legal and technical requirements and the available human resources. The IT/GIS development work is continuous in Cambodia, so there does not exist any ready software that could be brought from outside the country. All countries’ cadastral requirements are different, so any software must be customized to the local needs anyway. After LMAP, it has been proposed to move from commercial software to free open source software, which will not be a burden to the budget, will eliminate the dependency of only one commercial producer and can be developed further (LMAP, 2011). For the technical and financial sustainability of the cadastral system, the rate of official, formal registration vs., informal registration of land transactions shall be increased. For this, increased effort shall be put on public awareness on the legal roles, responsibilities and duties of the landowners, benefits of official land registration and making cadastral services more attractive and affordable for landowners by improving the cadastral service delivery. As mentioned above, at the project design, land valuation should clearly have been included in the scope of LMAP for supporting subsequent registration by clear, transparent and fair land-related taxation and cadastral fees (LMAP, 2011). The open, public and transparent systematic land registration procedure has turned out to be successful in solving most of the land disputes already during the fieldwork, public display or the conciliation by the Administrative Commission (AC). As a result, the number of cases remaining to be solved by the National Cadastral Commission (NCC) after the systematic registration remained very low (0.2-0.3 %) compared to all land disputes. In LMAP, Cadastral Commissions (CC) focused mainly on dispute resolution outside systematic registration areas, but at the end of the project, a backlog of cases still remains to be resolved. The project designers are argued by MLMUPC to have had an “unrealistic view of what the Cadastral Commissions could achieve during the project. There also was a failure to consider what the project as a whole was achieving in the area of land dispute resolution, meaning including the systematic land registration procedure itself and the ACs, which turned out to be able to solve 90% of land disputes successfully already during the registration process” (LMAP, 2011). While systematic land registration produces valuable base data on land, land use and landownership for land management and land use planning, the lack of official clear land management and land use planning system in many cases hinders and slows down systematic registration, especially in urban areas without clear official land use plans and e.g., road corridors and other state land areas. In LMAP, the implementation of the Component 5 – Land Management remained weak through the project and could not support the land registration as originally planned. However, in Land Registration Teams (LRTs), a Land Management Officer’s post was established for clarifying the administrative boundaries, main land use, private and state land areas and existing land disputes for effective work planning and implementation of the LRTs. In the future, more effort shall be put on developing and strengthening land management activities to support land registration and establishing official linkages between land administration and land registration (LMAP, 2011). During the project implementation, there were cases in one municipality, capital city Phnom Penh, where forced evictions and following resettlement activities took place due to some urban areas’ development projects and these cases were tried to be linked to LMAP in mass media, NGO reporting and also by WB itself. However, informal and illegal settlements, evictions and resettlement issues were neither within the scope of LMAP nor budget, and not within the legal mandate of MLMUPC. The occurred eviction cases were not primarily land registration and land administration issues, but mainly related to issues of Phnom Penh municipality’s land management and urban planning, plan implementation, expropriation, land valuation and compensation, which were out of the official scope of LMAP. One case brought up by NGOs launched WB’s Inspection Panel (IP), but MLMUPC/LMAP strongly stated and justified that LMAP followed strictly WB’s Project Appraisal Document (PAD) and the Cambodian legislation, and the mentioned case is not legally linked to LMAP (MLMUPC, 2011). An important lesson learnt in this is that in the future, more effort shall be put to all land administration projects’ external PR to the general public, media, civil society and NGOs in order not to confuse the scope and mandate of the land administration project and the multiple, undeniably difficult issues and challenges of the complex land sector as a whole. Successful technical assistance (TA) and other support from Development Partners for sustainable knowledge and technology transfer and concrete results and impacts must be based on real local needs, local requirements and local capacities, mutual trust and understanding and be culture-sensitive, building heavily on the history, traditions and systems of the recipient country of the foreign aid (Anttonen, 2010). Exporting often inflexible western theories to dynamic eastern realities can easily be counter-productive, if done ignoring the local project implementation environment. It is also clear that strong local ownership and commitment with proper coordination, cooperation and real team work with all land sector stakeholders and various Development Partners involved (In Cambodia, Technical Working Group on Land (TWG-L) coordinates donor efforts in the land sector.) is essential to maximize benefits, avoid overlapping and minimize the waste of effort, time, money and general confusion in the land sector. By the end of LMAP, Cambodia started to be ready to move from a project to a program, from ‘donorship’ to real local ownership, to move further from vision to action, from action to results and from results to real impact for the social and economic development of the country. The Cambodian Government designed, led and mostly self-financed the next phase after LMAP, the on-going multi-donor Land Administration Sub Sector Programme (LASSP 2009-2012) which reflects this positive development in line with the Paris Declaration on Enhancing Aid Effectiveness (Anttonen, 2010, Paris, 2005). anttonen, 2006. Anttonen, Jouni. Can a Successful Modern Cadastre Be Developed in South-East Asian Developing Countries? – South-East Asian Experience with the Focus on Cambodia. Anttonen, 2010. Anttonen, Jouni. Successful Capacity Building of the Cambodian Land Administration – Finnish Technical Assistance Combined With Local Khmer Expertise, Traditions and Culture. CCP, 2002A. Anttonen, Jouni. Combined Final Report of the Cambodia Cadastral Project (CCP) 2000-2002. CCP, 2002B. Anttonen, Jouni. Combined Final Report of the Pre-Implementation Phase of the Land Management and Administration Project (LMAP), November 2001-May 2002. FIG, 1995. International Federation of Surveyors (FIG). FIG Statement on the Cadastre. FIG, 1998. International Federation of Surveyors (FIG). Cadastre 2014: A Vision for a Future Cadastral System.Kaufmann, Jürgen.-Steudler, Daniel. Holstein, 1996. Holstein, Lynn. Towards Best Practice From World Bank Experience in Land Titling and Registration. LASSP, 2008. Land Administration Sub Sector Programme (LASSP). Outline for LASSP 2009-2012. LASSP, 2010. Land Administration Sub Sector Programme (LASSP). Reviewed Outline for LASSP 2009-2012. LMAP, 2001. Land Management and Administration Project (LMAP). Project Appraisal Document (PAD). LMAP, 2005. Land Management and Administration Project (LMAP). Mid-TermReview Report. LMAP, 2011. Land Management and Administration Project (LMAP). Ministry of Land Management, Urban Planning and Construction (MLMUPC). Borrower’s Implementation Completion Report (ICR) of LMAP. MLMUPC, 2006. Ministry of Land Management, Urban Planning and Construction (MLMUPC). 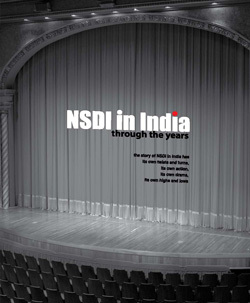 Annual Report on the 2005 Results and Achievements and Next Steps for 2006. MLMUPC, 2011. Ministry of Land Management, Urban Planning and Construction (MLMUPC). Boeng Kak Is Not Legally Linked To LMAP, Safeguards Were Not Triggered For Boeng Kak. Press Release by MLMUPC, March 2011. Paris, 2005. Paris Declaration on Enhancing Aid Effectiveness – Harmonisation, Alignment, Ownership, Mutual Accountability and Managing for Results. RCG, 2001. Royal Government of Cambodia. Statement of the Royal Government on Land Policy. RCG, 2009. Royal Government of Cambodia. Declaration of the Royal Government on Land Policy. WB, 2009. The World Bank. Aide Memoire of the 11th LMAP Multi-Donor Supervision Mission, January 2009. Note that the opinions in this paper are those of the author’s only and do not necessarily reflect those of the Governments, Development Partners, companies and other agencies involved in the project. Mr Anttonnen your article is unfortunately largely a work of fiction where to push a good story you haven’t let the facts get in the way of a good story. Indeed the Land Ministry (MLMUPC) has had made progress with the “headline” of systematic titling. However, it has positioned itself as a deeply corrupted institution that has support violent land evictions throughout Cambodia for more than one decade. The contributions of the Finnmap TA, along with the other TA, have significantly helped this sorrowful agenda roll-out. I would agree there were problems with World Bank engagement, especially after the suspension period, but at least in the end after a period of flip-flop supervision, it correctly pulled out. Looking at all the medals that the Ministry has had awarded to the various TA, it is akin to the 30 pieces of silver. Shame on Finland and Finnmap. Great comments JJ. Indeed this writing by Mr. Anttonen is a distortion of reality, which is typical of consultant TA pushing something, which is largely intended to increase the supply of their own services. I have participated in a number of presentations over the past years by Mr. Anttonen and also CIDA TA representatives given to FIG events and it is always the same spin doctoring. Mr. Anttonen has been in Cambodia a long time working for Finnmap and embedded within the Cambodia Land Ministry. During which time there has been an ever growing escalation of corruption, including land evictions. Makes you wonder about how the Finns could engage in blissful ignorance of the corruption. Perhaps there is a need to develop a code of ethical conduct for donors and TA, as it is definitely missing in the Cambodia context. It is very difficult to improve governance in land in countries like Cambodia when this type of stuff is written and there is a presence of such TA! Interestingly, Mr. Anttonen has written and presented some very amusing stuff on surveyors and Disney characters such as Donald Duck – most recently at the Manila regional surveyors congress. I would recommend that he stick to that. I see corruption in the Cambodian land sector continues. Well done to the Finn TA for enshrining that.